12 patterns of Eastern Hemisphere butterflies and moths are represented in this e-book. 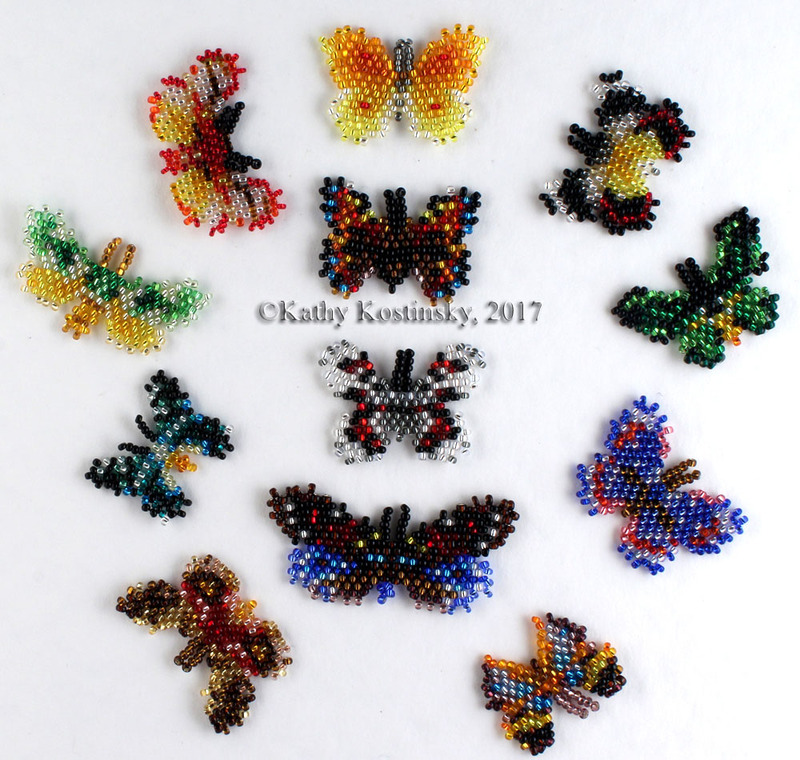 These patterns are a part the collection "18 Mini Butterflies and Moths of the World"
Each pattern includes a photo of two finished butterflies/moths (the one made of metal-lined beads and the opaque one) and 2 graphs of weaving of the insect. Two toho palettes are given: a metal-lined beads palette and an opaque beads palette. The thread way is shown. 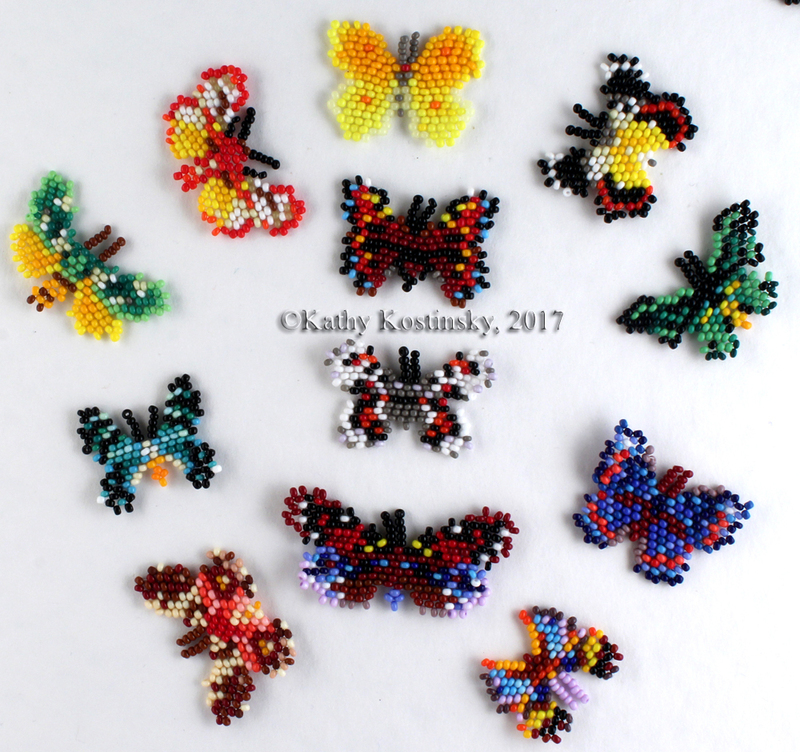 Such beaded moths and butterflies can be used as pendants, or brooches, hairslides, earrings. They are quickly and easily woven. Ome moth or butterfly will take you about an hour or a bit more to be completed.